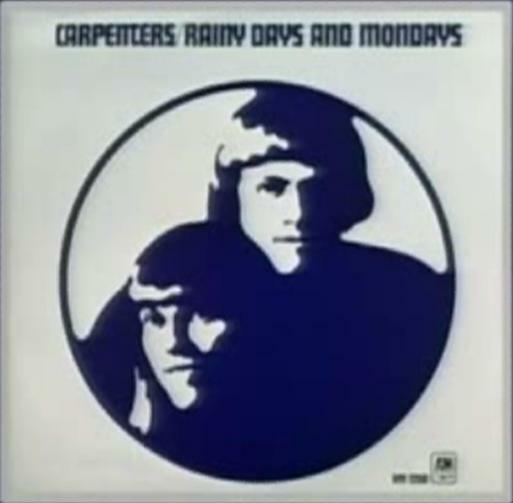 Paul Williams: "The next Carpenters hit we had was 'Rainy Days And Mondays'. I didn't go into the studio with them; they weren't looking over my shoulder when I was writing the lyrics, so I didn't look over their shoulder when they were recording. So it was always a surprise for me - when they would play something for me, it was usually pretty well done. And I loved the record of 'We've Only Just Begun', but the record of 'Rainy Days And Mondays' I liked much much more. There was something, I don't know if it was the saxophone (played by Bob Messenger, a longtime member of the touring and studio band who backed The Carpenters), or what it was, but it sounded awfully grown up for something that I'd been involved with. And I don't know, there was something about her that was... I guess I had a crush on her, now that I think about it. When you hear that lady sing those words you've got to know there was a little bit of a connection there. I remember her playing at the rehearsal hall and soundstage at A&M, playing me the record and watching me listening to it, and it was a real pretty memory... I was very young then, of course."